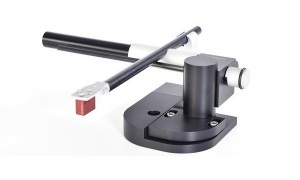 Bergmann Odin Linear Tracking Air-Bearing Tonearm. 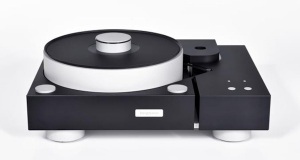 Amore elaborate version of the successful Bergmann Magne ST Linear Tracking Air Bearing Tonearm with adjustable Azimuth Plate, Tonearm Tube is a double seamless carbon design with dampening in between with one piece Tonearm Cable to DIN Connector. 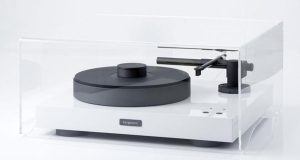 The Ultimate performing Bergmann Odin Tonearm floats on a bed of air and is totally frictionless. 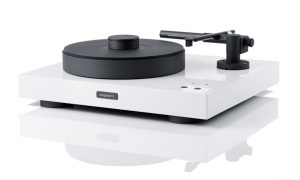 Simplicity and Elegant, the Bergmann Odin tonearm achieves Zero Friction and Zero Tracking Error – what conventional tonearms, no matter how much they cost, cannot do.